Wipes won’t scratch delicate surfaces and they wipe surfaces clean without leaving residue. 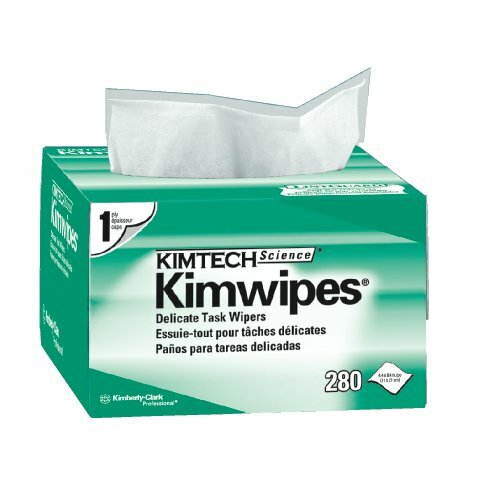 Single-ply Kimwipes EX-L wipes are made of a finely textured tissue. Come in a convenient Pop-Up box with antistatic Lintguard polyshield. Wipes are dispensed individually to reduce waste while minimizing lint, static buildup, and contamination. Low-lint critical task wipes are absorbent, soft, and nonabrasive.